Froyo: it must be healthy, look at all that fruit! I'm avoiding sugary treats at the moment thanks to gestational diabetes, but we did find a special parking space for me! 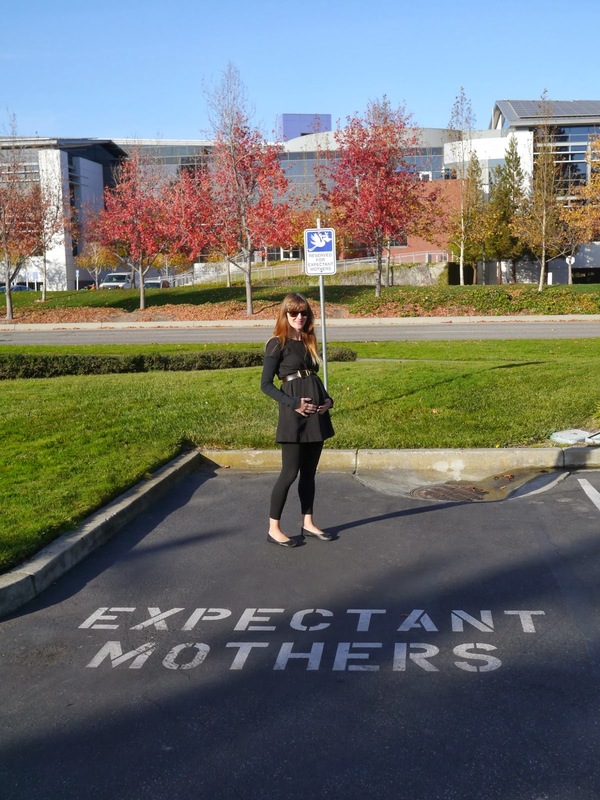 This would've made a good pregnancy announcement! 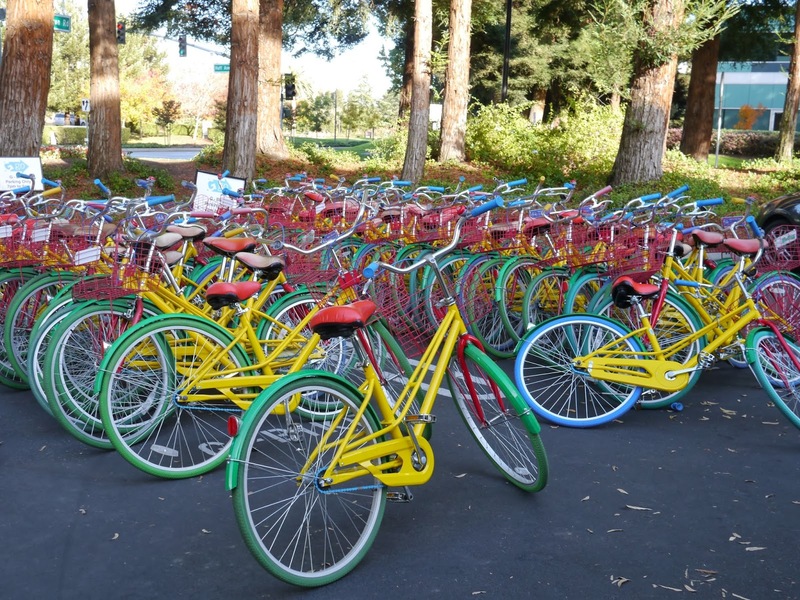 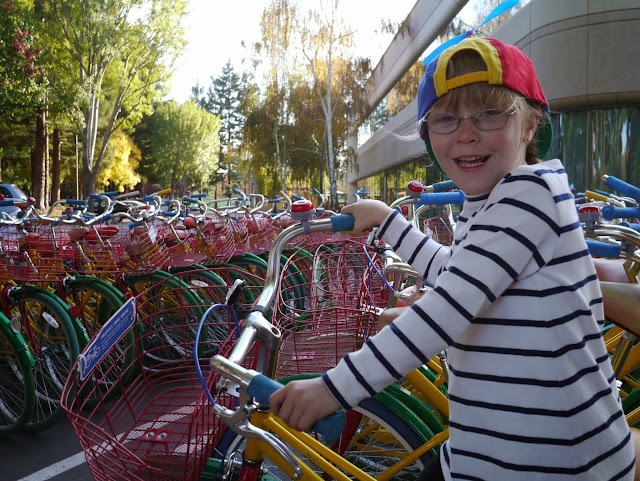 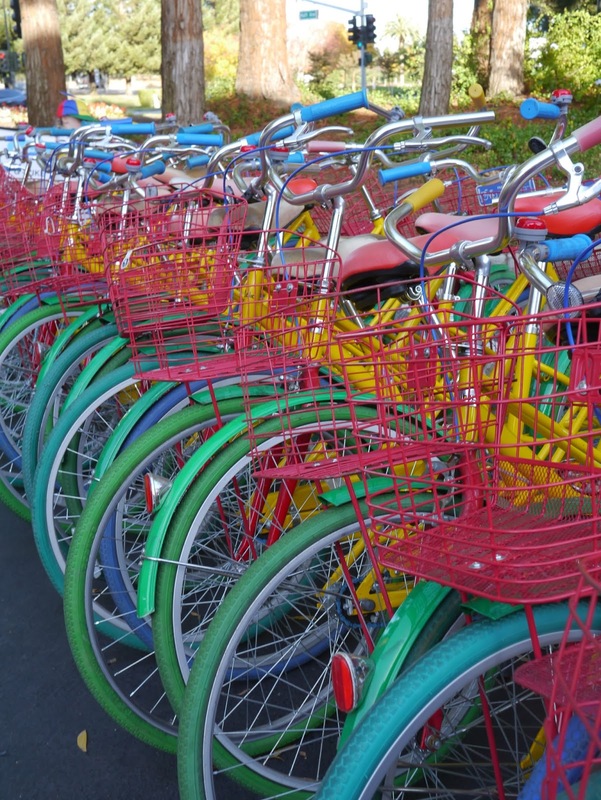 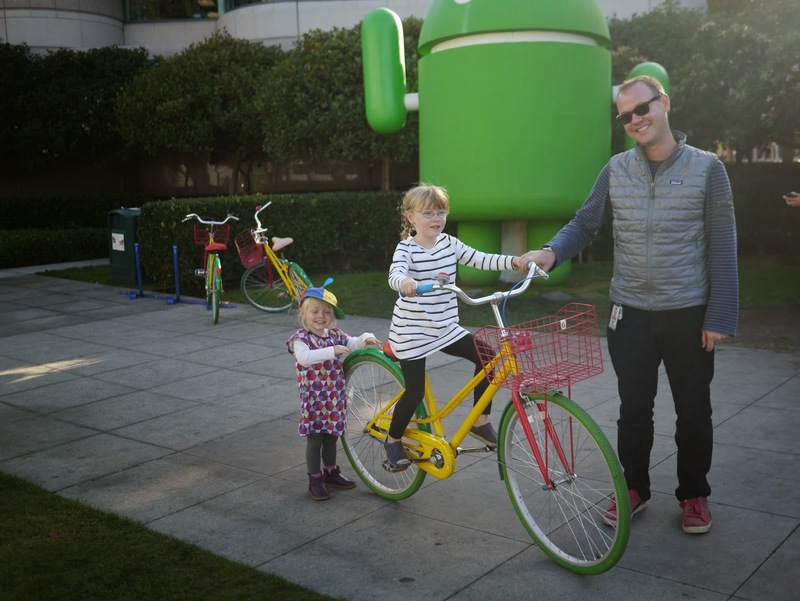 As the Googleplex covers such a large area, Google provide "G Bikes" for staff to ride between buildings. These colourful bikes are dotted around the grounds of the office buildings and were a huge hit with the other site-seers visiting the campus. 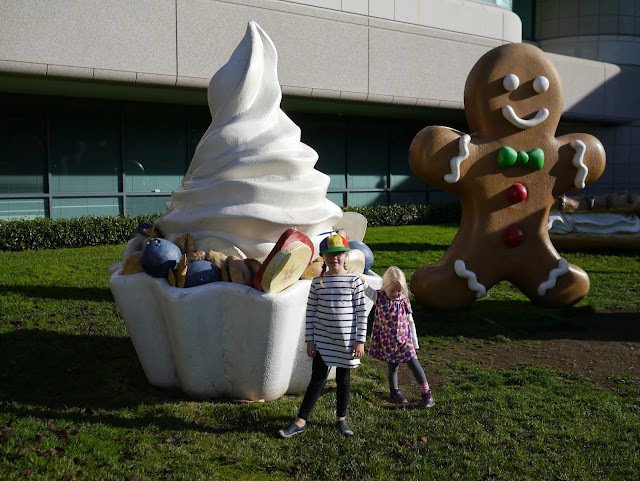 We didn't take any for a spin (they're not there for us after all) but the girls did have fun posing on them. 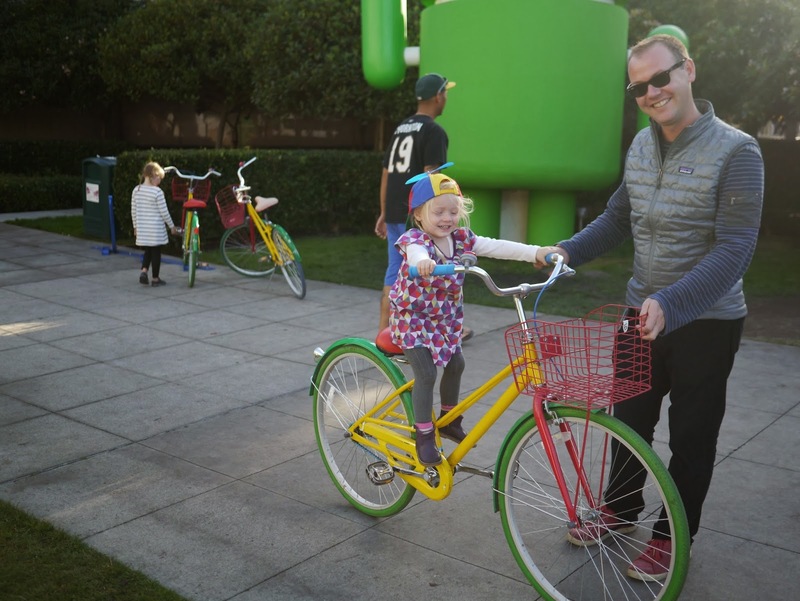 Ava was pretty excited to discover that she could reach both the pedals and the handle bars! 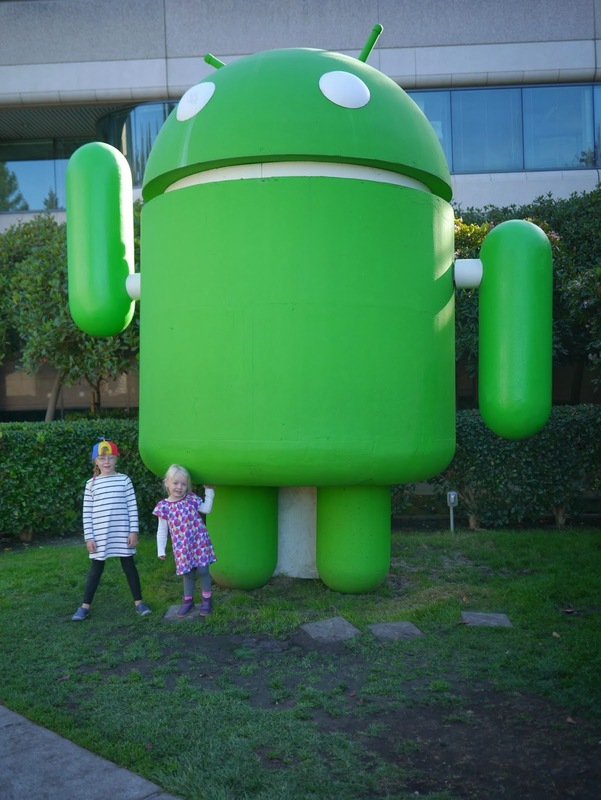 Lola is still a little far off! I'm not quite big enough! 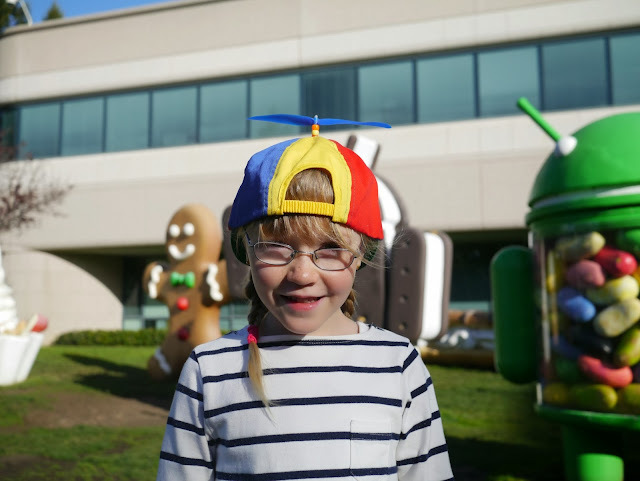 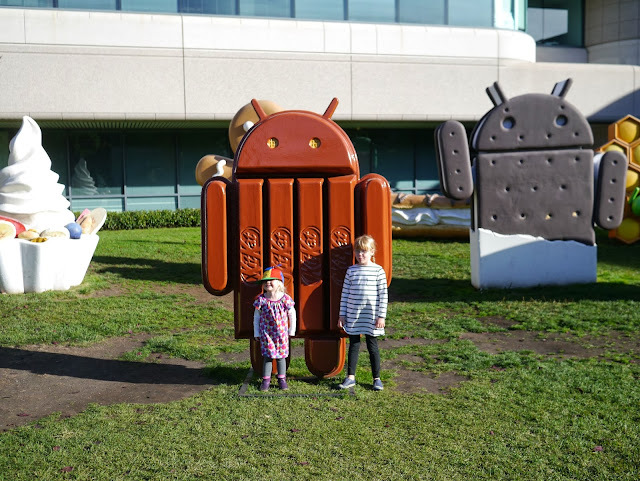 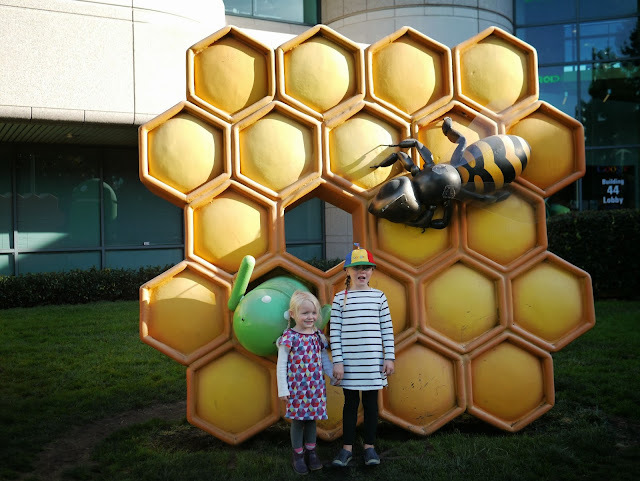 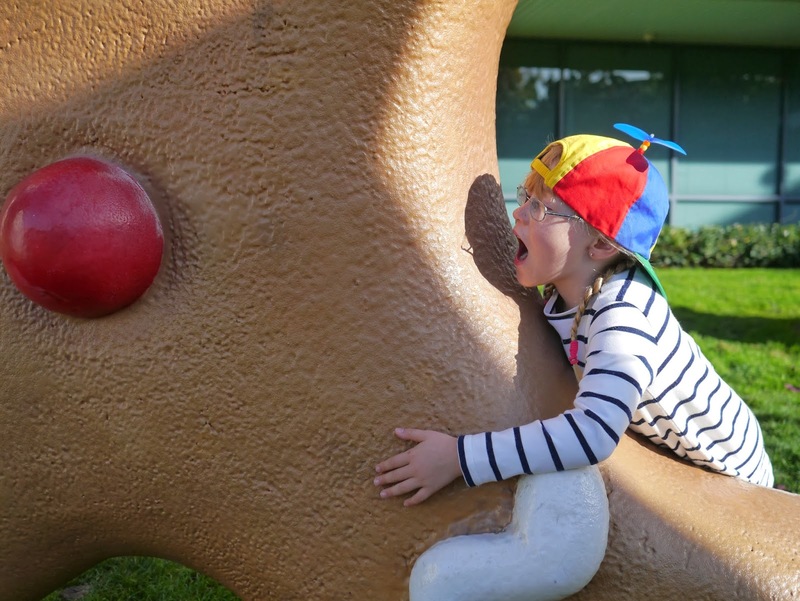 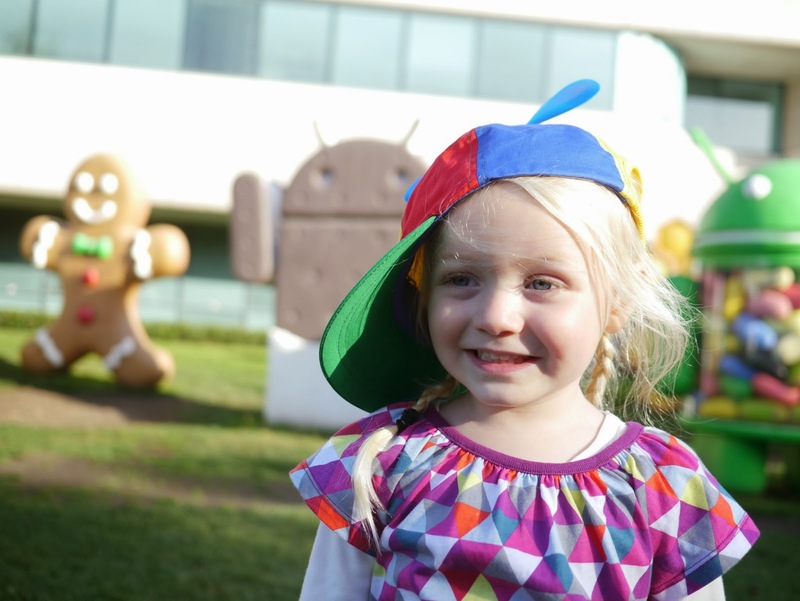 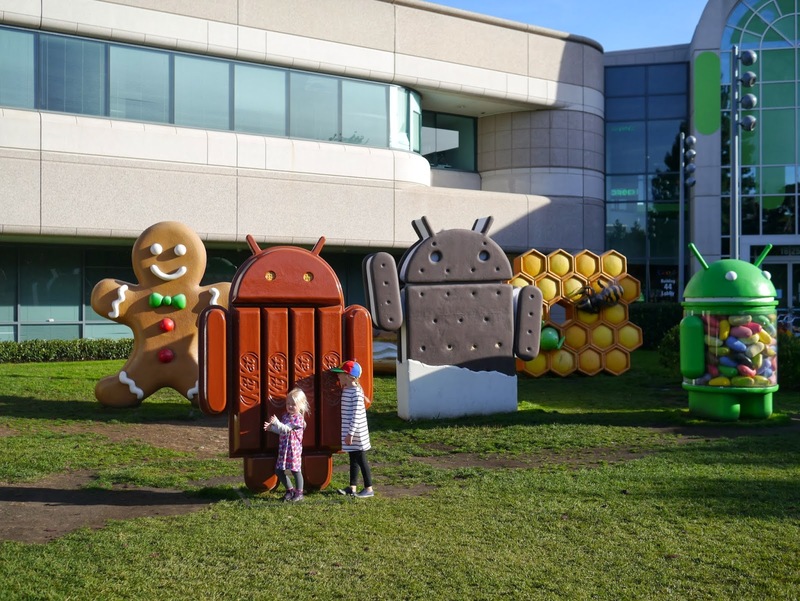 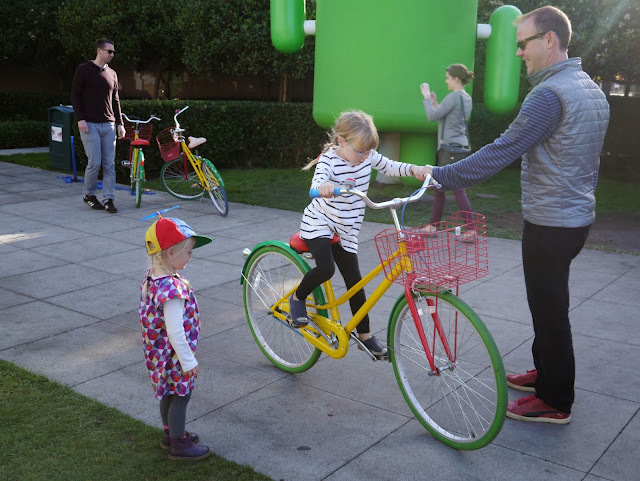 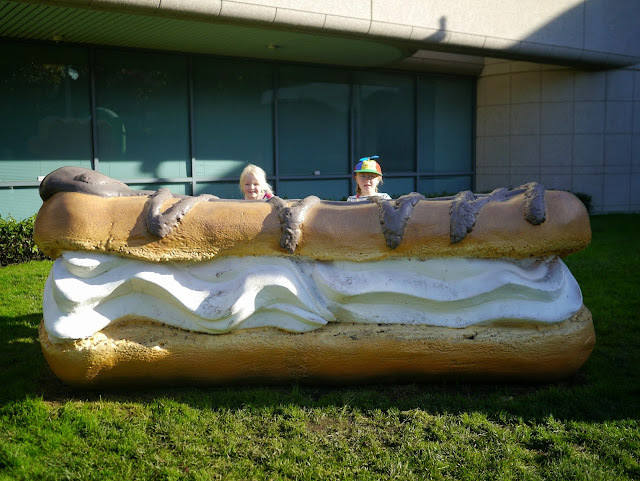 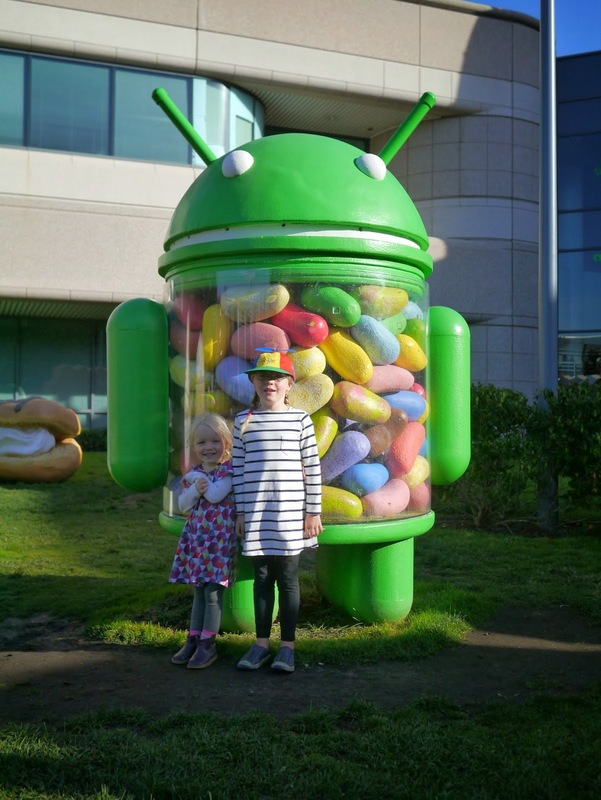 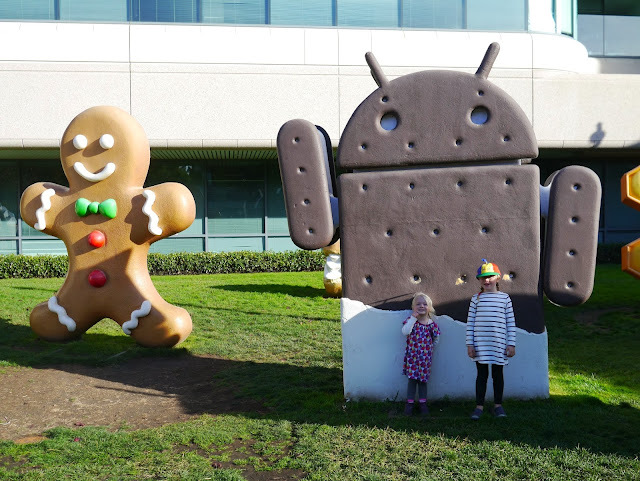 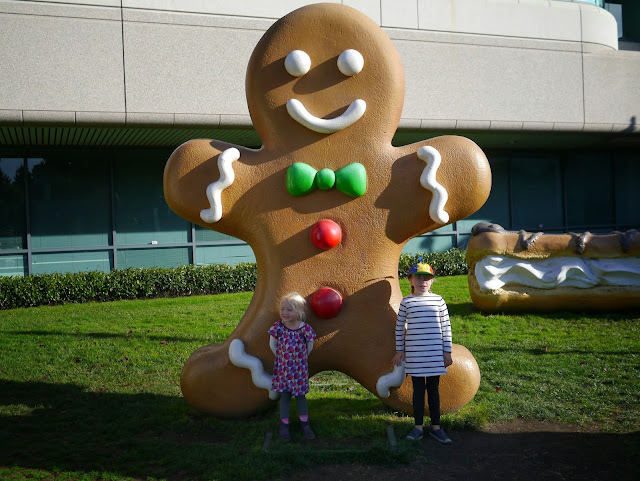 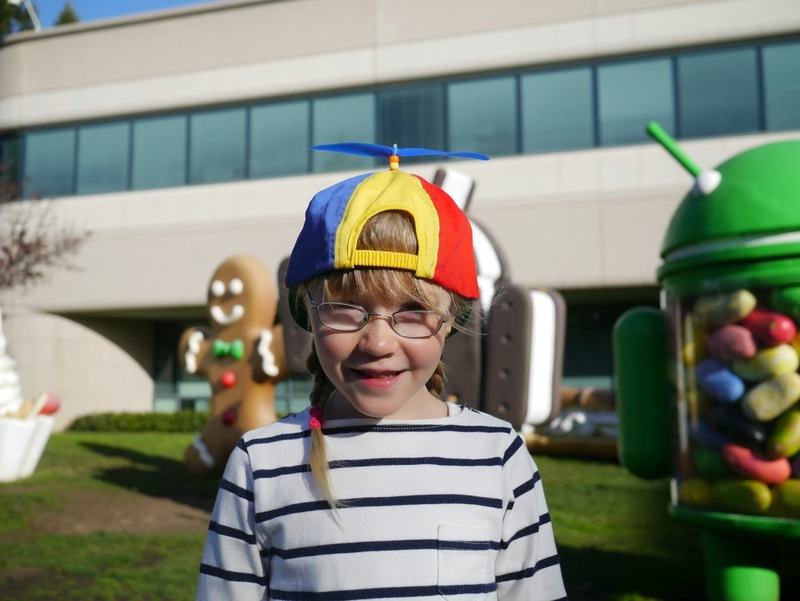 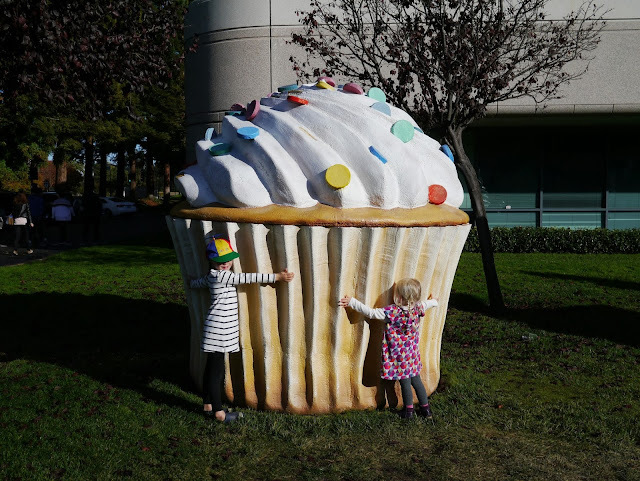 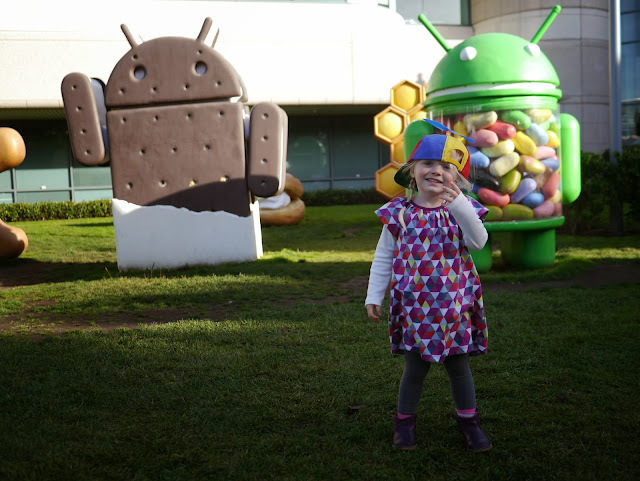 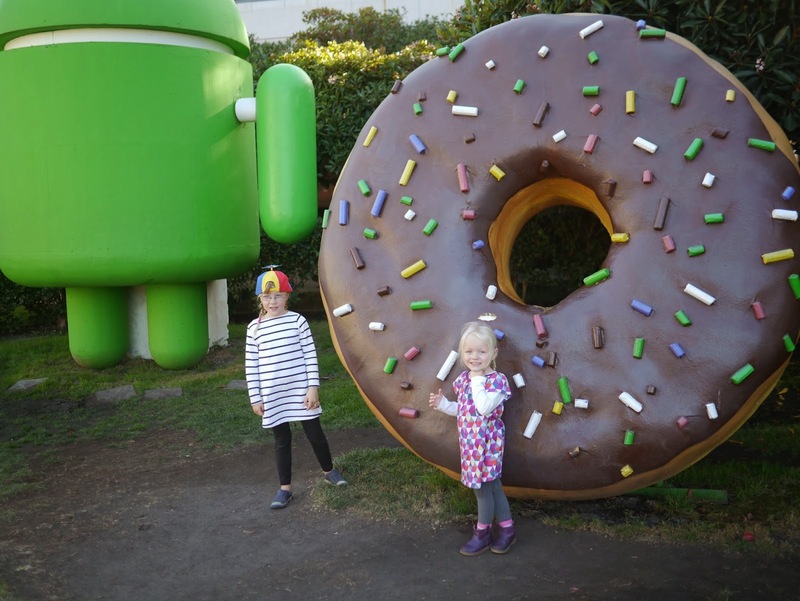 I was surprised at just how many other people there were visiting the Googleplex grounds in the short time that we were there. At one point a tour bus from San Francisco even turned up and a large number of tourists popped out with their cameras (and iPads) ready to snap photos of the Android statues.